It's been more than 11 years, I am working on many online jobs and making $20000+ per month from the comfort of my home. 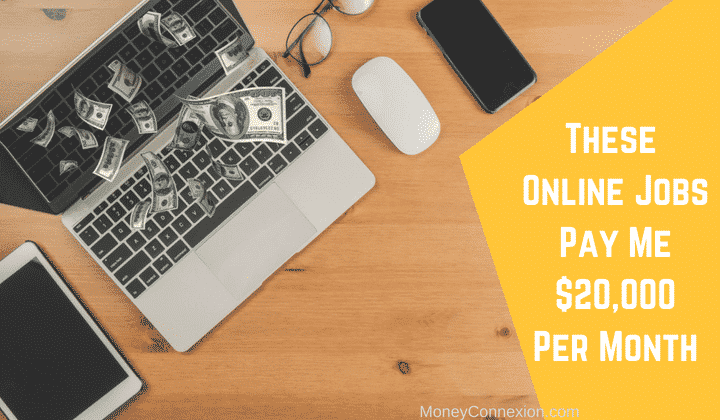 My blog MoneyConnexion has trained thousands of people who wants to make some extra income through online jobs. They are successfully earning $1000 to $10000 per month from these online jobs. Today I will show you 14 most legit online jobs where thousands of my my blog readers are working & making a part time or full time income. I will also show you how much money I make (with payment proof) from different online jobs. I will provide you complete training to make money from these online jobs. There is no investment at all for any online job. You don’t even need any qualification, experience or technical knowledge to start any of the online jobs mentioned below. I will show you my favorite online jobs first and then other online jobs which are legit but I am not focusing there at present. There is no better online jobs than blogging. I make more than $10000 per month from blogging. I have made more than 1 million dollar through blogging in last 7 years. I recommend this online job to every student, housewife and anyone who wants to work from home. Start a blog in just 30 minutes (Less than $100 investment). You can easily make $500 to $5000 per month through blogging. I am sharing you one of the old video where I am showing my income from Google AdSense. Its easy to earn $250 to $500 by working 15-20 minutes on these sites. I have been consistently working on some legit sites for the last 2-4 years and earning 4 figure monthly income from these sites. I have made more than $60,000 from one such site. Trust me, I never worked more than 10 minutes on this site for making this much income. I work 1-2 hours a week and make around $400 from few survey sites. There are hundreds of best and free survey sites where you can signup and receive regular surveys. You will get $5 to $20 for completing one survey. If you join 10-20 sites, you can receive minimum 50 paid surveys in a month and make more than $1000 per month. Affiliate marketing is another favorite online job in my list and I make around $2500 per month promoting various affiliate programs. This year I am focusing more on affiliate marketing and my target is to cross $10000 per month with affiliate marketing. Affiliate marketing means becoming affiliate with online merchants like Amazon, CJ, MaxBounty etc. and promote their products. You receive commission whenever someone completes an action like signing up on a merchant website or purchase something from the website, with the help of your promotion. I was making around $1000 per month (around $10-$20 per hour) with freelance online jobs. I used to write articles for my clients, provide SEO consultancy and services, web design work etc. Freelancing is one of the best online job for individual people who has some skills that can be sold online. There are hundreds of freelance jobs you can do like designing a logo, writing an article, working as virtual assistant, coding, data entry work, website design, SEO, video editing and many more listed here etc.. Although I have a YouTube channel but I never monetized this before. I have got the approval for YouTube partner program and this year I am focusing to publish more videos and make some cool income from YouTube. Create and upload interesting videos. You can easily make $1000 to $5000 per month if you upload at least 1 video a week. Refer this YouTube money making guide to know everything that is required to become a famous and high paid YouTuber. I have mentioned above that I used to do freelancing and one of the freelancing job was writing for my clients through freelance sites. My clients used to pay me $20 to $50 for each 500 words content depending on the type of content. Online writing jobs have a great demand. You must have writing skills in order to get writing assignments from your clients. There are many online writing jobs like writing reviews, blog posts, emails, social media writer, story writer etc that can give you good earning. Refer this post to earn $20 to $50 per hour from online writing jobs. If you are looking for easy online jobs then captcha entry is better option for you. You can earn $200 to $500 per month working 2 hours daily as captcha solver. I have never worked as a captcha solver because its a low paying job. Many of the MoneyConnexion readers are earning decent income through this job. If you want to make some extra income from this online job then first thing you need to do is register with some legit captcha entry sites mentioned here. After registration, you will be provided with username and password. Upon login to your account, you will be receive captcha images continuously. You just need to type the text from the images and submit. Your typing should be very fast in order to make good income from capthca entry online job. If you work 2-4 hours everyday, then you will be able to earn up to $500 from this simple job. You need to register in these sites in order to get assignments for data entry work. Signup is free on such sites. We have collected many legit sites where you can find data entry jobs. Another best online jobs opportunity comes with your Smartphone (Android & iPhone both). There are dozens of mobile apps that pay you for completing simple tasks and offers. We have shortlisted 20 best mobile apps with highest reviews and thousands of satisfied members. They pay better and on-time. You can install these apps in your smartphone. 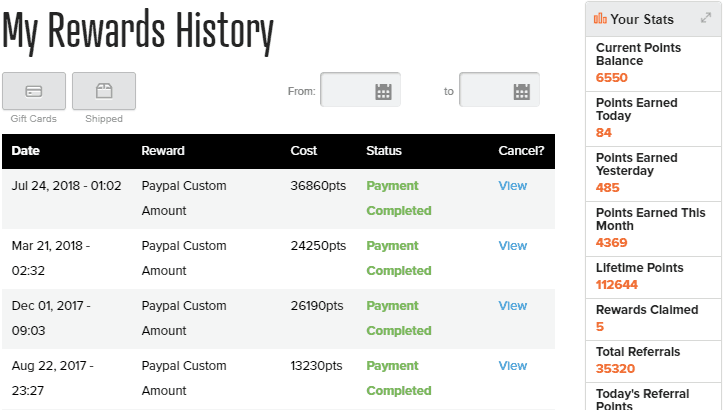 You will get paid for completing offers like playing free games, trying some offers, watching videos, installing apps, signup on sites, completing short surveys etc. 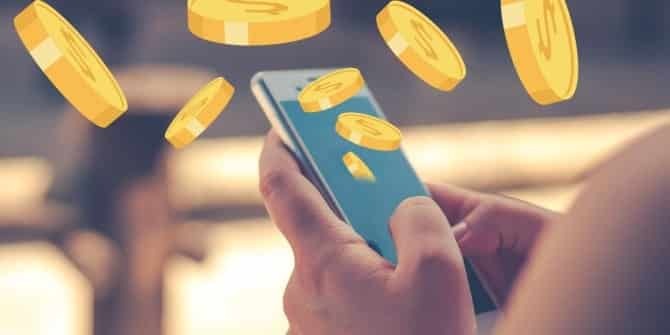 Find these money making apps here. Do you know Amazon provides simple online jobs opportunities? mTurk is an Amazon company where you can make good income complete short task. You can signup with mTurk (Amazon Mechanical Turk) as a worker and start making some cool money for completing simple tasks. There are many tasks where you can get paid even more than $5. You can read this mTurk guide to know everything you need to become an expert mTurk worker. If you need more sites like mTurk, then check these mTurk alternatives. I have been working on Fiverr as a seller since 2012 & made a very good income. Fiverr is a very nice opportunity for people who are looking to make some extra income. You can join as a seller on Fiverr and provided hundreds of different services. You can get paid $5 to $100 for completing each gig on Fiverr. Thousands of MoneyConnexion Members are Earning Good Income like ME from the above 14 Online Jobs. You can simply Signup Here for MoneyConnexion training package AND you will receive exclusive training for these online jobs & other tips that will help you to make & save more money. This is Awesome way to earn money by sitting at home. And i will work hard as i want to earn money. Guys you all should try this……. I have a personal computer (desktop) and I am connected to the Internet. I am interested in jobs that I can receive through the Internet/email and work on then deliver back through the Internet. I am available daily and can do the work Monday to Saturday. I doing my final year post graduate in surgery in Russia and interested to work for medical transcription and online tutor for English , Russian language and medical based subject and other minor jobs like copy paste , ad posting , etc . i am ready to work hard and i will be free during evening hours in local Russian time and i will be having weekly once with night shift (preferably Wednesday or Thursday ) . Im mostly free on Saturday and Sunday . Hi there I am a hard working person but at the moment bound to home so I am really interested in an online job in tutoring english or anything else writeing or whatever you may need, I would be glad to try anything out and would give my best to prove my value. I am interested in online transcription job online freelancing jobs, online survey jobs ( without investment).i am working 3 days a week so need some other opportunities to earn money.I have masters degree in nursing . i am really interested by the online job to make few thousands dollars a month. kindly receive my application. I am interesting captcha solving jobs , but without any initial investment . I am free whole day as I have to make money. Unless you are in a situation where you have time to waste or have no other options, why would one subject themselves to 2-3 hours a day to earn UP TO $500 a month? If you work month long (as you did not state that $500 is only for working weed days) and multiply the hours by 30 days, it comes up to 60-90 hours a month for UP TO $500. The hourly wage goes from $5.56 to $8.33 an hour only if you receive that $500. So you will be hoping to earn slightly more to considerably less than Federal minimum wage in United States. You will not even earn minimum wage for some states, even with $500 a month earnings. Thank you for providing the jobs for people and blogging is the best job according to my view. i am a student and its so difficult to me to pay my tuition fees. Hi I m a student of BS english. I passed my intermediate with FSC pre medical.i want an easy and simple job online without investment.i saw the options of jobs. And i think that i can do the job of cliking ads.because its first time i m apayzaplyng online.i will b very thankful to u. Thnku. Thank you so much for all of this information. It has really helped me get started in what I was looking for. I am interested in online tutoring job as I have flexible time to entertain people who needs me.I am currently tutoring English in HK,hardworking and patient tutor to deal with. I have a personal computer (desktop) and I am connected to the Internet. I am interested in jobs that I can receive through the Internet/email and work on then deliver back through the Internet. I am available daily and can do the work Monday to Saturday. I am based in Nairobi, Kenya. hello dear, i am a student in right in french and i am 19 years old. i really need to apply to your job and i am able to do all job even if its very hard to make loyal money…PLEASE RECEIVE MY SINCERLY GREETING. Hello money connexion, I am also interested in offline Data Entry Job , but without any initial investment or Registration Charges or Any type of initial advance deposit. i am a divorcy trying to make ends meet.most especially as the court judged me with being financially handicap so cannot have my children with me except the one that is up to 18yrs. which made the rest of my children despite being fond of me stay with their dad.so,i need this kind of work to transform me financially in order to be able to claim the rest of my children from my husband custody and train them morally.Thanks, reply back fast. am a student and its very difficult for me to pay for my tuition fees. please email me on how to get started. I am the expert of Acupressure Therapist in all kind human body deises daignocise & Treated . If you are looking to prepare daignocise own hospital. Then I am here. i am Muhammad Siddiq malik BSC electrical construction engineer in Bangkok Thailand, interested in “Online Captcha Typing Job” which you have mentioned above without any initial investment or registration charges or any type of initial advance deposit, i am ready to work target hours a day. I request you to reply me soon as possible and please can you tell me how much gets a money work 12 hours a day. please reply me, i am waiting for your answer as soon. Hello, I’m a mother of two boys a 4 year old and 1 year old. My one year old lives with my mother for now. So im always home with my baby and our puppy. My husband works 6 days a week sometimes the entire week. I stopped working 2 years ago so i want to kniw how i can earn money from home and even help my husband out with our bills. Im epileptic so i dont deny i also just a small tad bit of bad memory but im good with technology. So please help me if you can. Thank you to providing the online jobs. I m a student of BS english. I passed my intermediate with FSC pre medical.i want an easy and simple job online without investment.i saw the options of jobs. And i think that i can do the job of cliking ads.because its first time i m apayzaplyng online.i will b very thankful to u. If it is really a online job without investment then please communicate with me otherwise not. Few days back I was working in the online and the company committed me to send money only when it will be Rs.14,000.00 and I was working with my full attention and concentration and I have already earn Rs.13000.00 then one fine morning I found that the site is not opening and closed and after putting all my efforts I found a comments > ” YOUR CHANCE IS OVER – TRY NEXT TIME – GOOD LUCK ” and there are many other ways also to cheat us !!!!! sometime I was asked to invest in the gambling with the money they promised to send me in their account. Even some company asked to to purchase their commodities with the money they will allot to me – though they allot me nothing and the price of the commodities is far above the actual price in the market !! I do not want to explain more ways of cheating !!! Till now I have got nothing and thinking to lodge a complaint before the honourable court for justice !! I am interested in offline Data Entry Job , but without any initial investment or Registration Charges or Any type of initial advance deposit. I am ready to work hard for 8 – 9 hours a day, as I have to make money.